PUBG Mobile managed to eclipse Fortnite’s earnings for two days in a row on iOS, according to market analyst SensorTower. This is the first time the Tencent game has managed to beat out the effort from Epic on Apple’s platform in terms of global player spending. Last week was a good week overall for PUBG Mobile, with revenue rising 166% from the previous week (total for iOS and Android). The team at PUBG Mobile might not be able to cry out “winner winner chicken dinner” just yet, but the game certainly managed to cook Fortnite’s goose for a couple of days last week. A report published by SensorTower claims that the title from Tencent managed to earn more in player spending than Fortnite for both November 21 and 22 (iOS platform). By the end of the week, average daily spending for PUBG Mobile on iOS was US$1.7 million compared to Fortnite’s US$1.2 million. Things were looking healthy for PUBG Mobile on Android as well. The combined estimate for the App Store and Google Play for last week’s spending was US$12 million, up by 166% on the previous week’s estimate of US$4.5 million. This total eclipsed Fortnite’s revenue by a considerable 43% during the same period, which is a surprising event considering Fortnite’s real dominance of the battle royale genre. It’s definitely positive news for PUBG Mobile’s developers, but it’s going to take a lot more time and impressive revenue estimates before the game can topple Fortnite from its lofty perch. 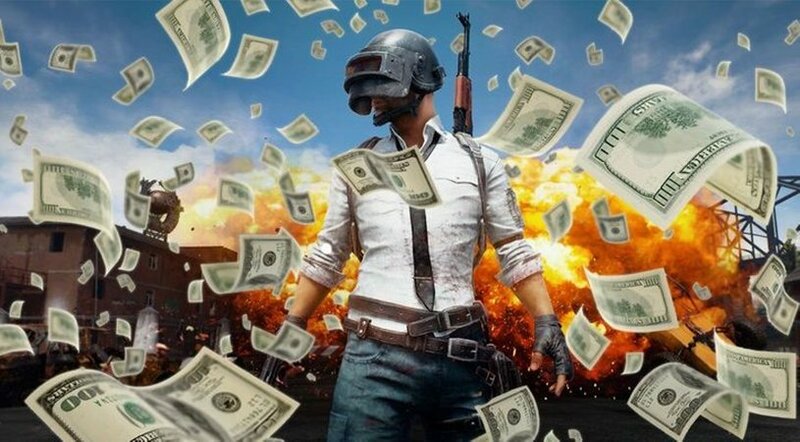 As pointed out by Venture Beat, it took PUBG Mobile around 200 days to make US$100 million, which pales into comparison with the US$300 million Fortnite raked in over a similar amount of time.